A taxi driver was recently beaten by his coworkers who accused him of racial abuse when he asked a Senegalese passenger, “Are you a terrorist? Did you come here to bomb a mosque?” Birgun daily reported on Friday. The incident took place around 2 pm, when a Senegalese tourist took a taxi from the Istanbul Ataturk Airport to the Aksaray district of the city. According to a news report by Ihlas News Agency on Friday, Ousmane Alyly, the Senegalese passenger, said that the driver did not turn on the taximeter and asked him to pay the fee in dollars. When Alyly refused, the driver started insulting him. The tourist then went to the nearest police station and filed a complaint against the taxi driver, using the video footage as evidence. 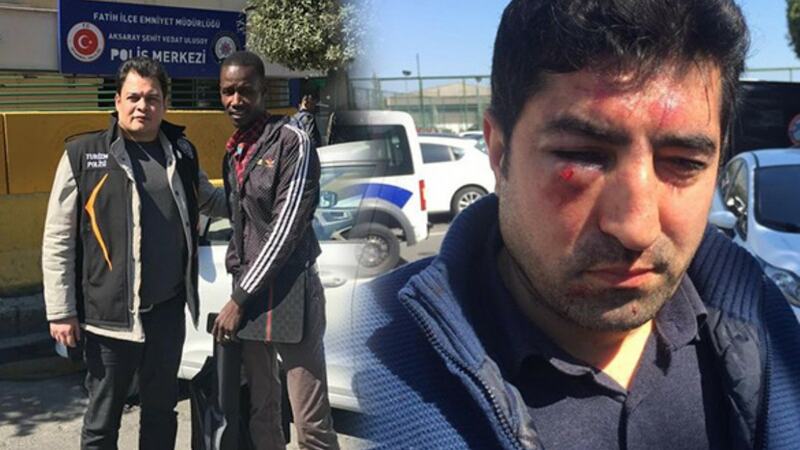 The Istanbul Ataturk Airport Taxi Drivers Cooperative announced that the taxi driver has now been discharged from the profession due to the racial abuse of the Senegalese passenger. “The so-called taxi driver’s attitude and words towards the Senegalese passenger were out of line, absolutely not appropriate for this profession,” the Cooperative said in a written statement on Friday.